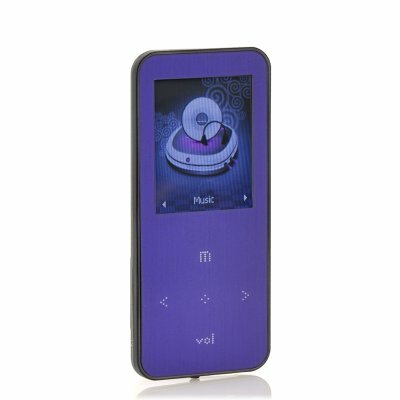 Successfully Added ONN Q9 1.8 Inch LCD MP3 + MP4 Player - 4GB Internal Memory, Micro SD Card Slot to your Shopping Cart. 1.8 Inch LCD MP3 and MP4 Player with 4GB Internal Memory that can be expanded via the Micro SD Card Slot is an awesome compact media player. 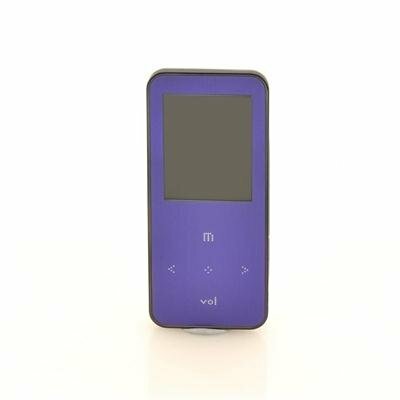 Compact with a slim 8mm body, this is the “ONN Q9” MP3 and MP4 player, that has been designed to be portable and comfortable to use with a simple interface and a 1.8 inch LCD display to view your media. It has 4GB of internal memory that can be expanded if needed by the built-in micro SD card slot; it can support an additional 16GB, which is ideal for playing all the compatible formats such as MP3, WMA, WAV and more. A big bonus is the radio FM frequency so that you can find and listen to stations that use frequencies between 87.0MHz and 108MHz and then store up to 30 of them directly onto the “ONN Q9”. A very diverse pocket sized device that also provides the ability to record and save them as WAV file formats to be listen to later. In additional this “ONN Q9” mp3/mp4 player comes with earphones therefore you can stroll the streets, work out in the gym or just lay back at home and listen to the sounds knowing you have 10 hours of full battery life. Order one today and we will express ship it out to you tomorrow. Brought to you by the leader in wholesale electronics and mp3/mp4 players, Chinavasion. The wait...ohhhh, the wait. But when it arrived, the tape job was not good. It was as if someone might have looked it, put the tape back. But otherwise the product is EXCELLENT! Super easy to use. Did not even take long to charge because it was already pre-charged. After about 2 hrs., I was downloading a lot of music I have on my computer. I think I am going to upgrade it, though, because I have over 10,000 songs. It has one game (Tetris-like), has a radio and can do a lot more stuff I am trying to figure out. But right now I am enjoying it. Great sound quality and an EXCELLENT PRICE! The wait...ohhhh, the wait. And when it arrived, the tape job was not good. It was as if someone might have looked it, put the tape back.